Fluffy popcorn in a matter of minutes! Make up to 18 cups of fluffy popcorn in less than 3 minutes! 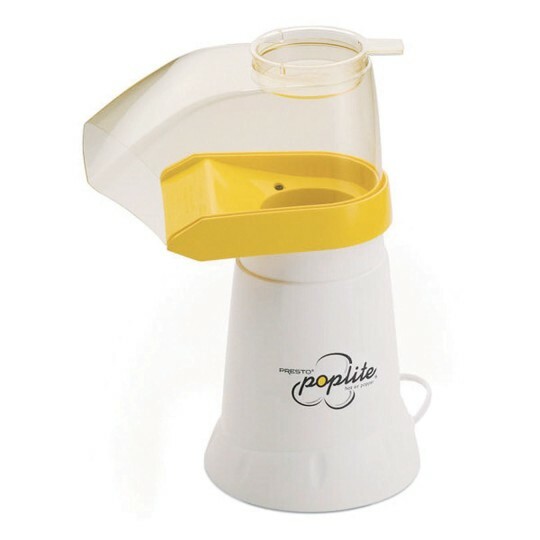 And because the machine uses hot air instead of oil, the resulting snack is healthier and lower in calories. 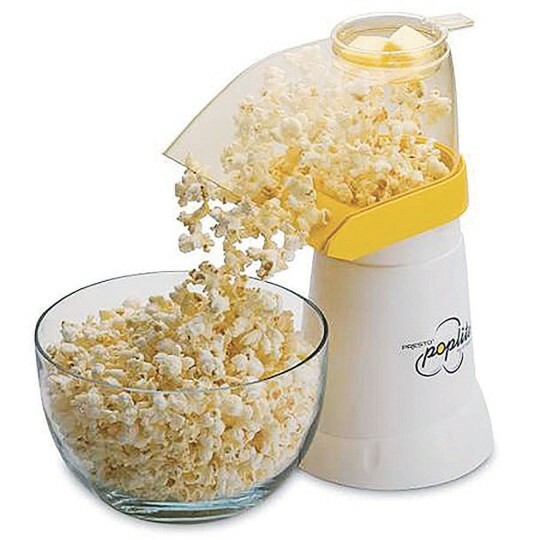 Uses regular or gourmet popcorn and features a 1/2-cup measuring cup on top of the popper that doubles as a butter melter. The clear plastic cover and cup easily removes for hand cleaning with warm, soapy water. No other clean up is required. Measures 14” x 9” x 6-1/2”. 1 year manufacturers limited warranty.